West Palm Beach to Host 10 and Under Tennis Workshop in Aug. The Lake Lytal Park Tennis Courts in West Palm Beach, Fla., will be the site for a USTA 10 and Under Tennis Workshop on Aug. 30, 2014 from 9 a.m.-12:30 p.m.
"The workshop is for individuals 16 years and older, and high school students needing community service hours to graduate are encouraged to attend," says USTA Florida Tennis Program Coordinator for the Palm Beach/Treasure Coast area Janet Sprague. "Participants will learn how to introduce tennis to youth ages 10 and under, utilizing various age-appropriate components of the game including racquets, balls, nets, modified scoring, and more. Age-appropriate games and activities for each skill and age division will be the highlight of this training." 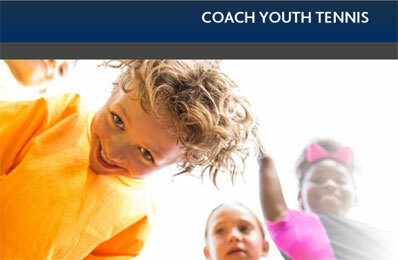 The Coach Youth Tennis website now serves as a prerequisite to becoming a certified teaching professional by the PTR or the USPTA. Coach Youth Tennis has been developed in partnership between the Professional Tennis Registry, the United States Professional Tennis Association, the United States Olympic Committee and the United States Tennis Association. The program consists of six on-line courses and a 10 and Under Tennis Workshop. The workshop fee is $15. It is highly recommended that participants take online courses 1-4 prior to attending the workshop. Please note that all workshops are non-refundable and non-transferrable once you are registered. Participants are asked to come dressed appropriately to participate in on-court workshops and to bring a racquet. To register go to http://coachyouthtennis.com and click on the "workshops" tab and filter by state, or for further information contact Janet Sprague at sprague@florida.usta.com.